This article is a review of MR BROOKS. So many films focusing on serial killers look at their aftermath and how they are caught, but there are very few character studies from their perspective, especially out of Hollywood. Even with audience fascination in the genre (DIRTY HARRY, MANHUNTER, SILENCE OF THE LAMBS, SE7EN, ZODIAC), the hunt is what seems to stimulate the mainstream; while it tends to be the art-house that is interested in dissecting these people (HENRY: PORTRAIT OF A SERIAL KILLER, MAN BITES DOG) or television (DEXTER). 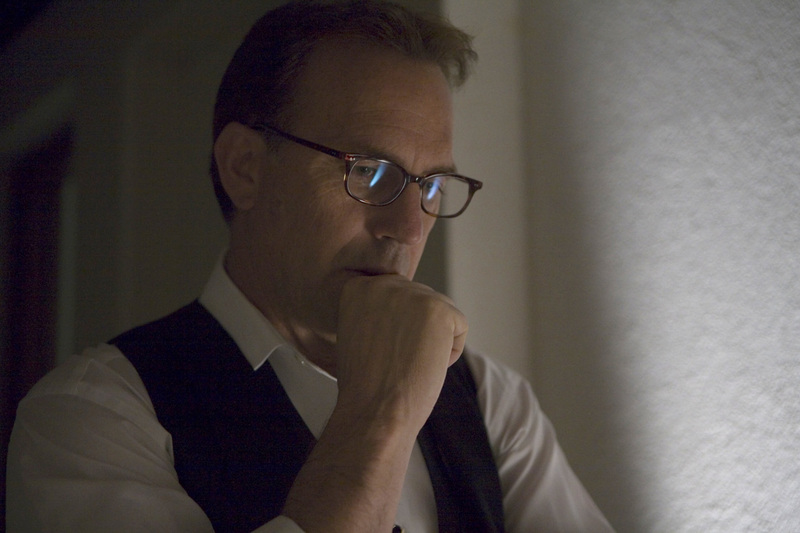 It is thus pretty refreshing to have MR. BROOKS – not only mainstream but with ex-golden boy Kevin Costner getting down and dirty. 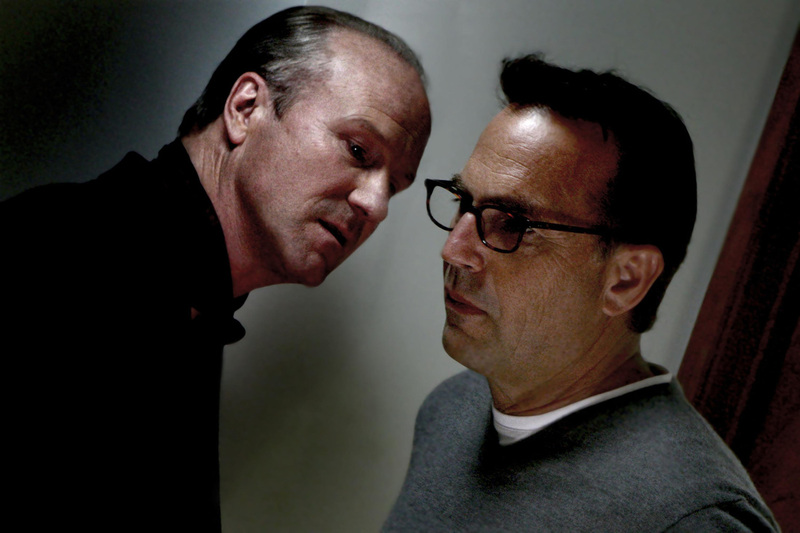 However, what stops MR. BROOKS from being a very good film is that it dilutes the focus with undernourished subplots, and not being quite as down and dirty as is it should be. 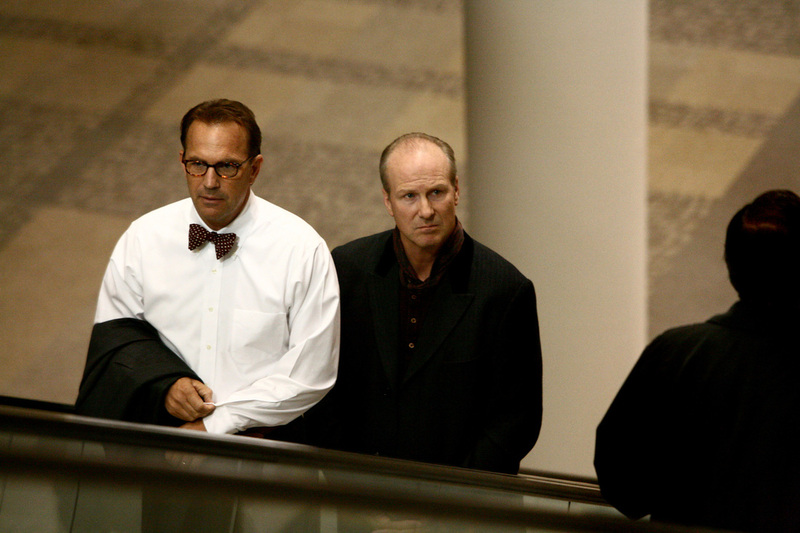 Costner is the titular character who, like a super-hero, leads a double life. To everyone he is a mild-mannered successful box manufacturer that finds an outlet in pottery, but in fact he is an addict who needs to kill – with this addiction manifesting itself in his subconscious as the velvet-toned William Hurt. The split personality twist has been done to death recently to the point of cliché; but at least here it is presented straightaway, not as some grand reveal. Mr. Brooks attends AA meetings to stave off the crave, but two years of being “clean” and seemingly free is suddenly brought to an end. His first double-kill is actually part of a bigger picture - a profile has been built of his alter ego by the police, where he is known as “The Thumb-Print Killer”. The case is headed up by Demi Moore’s Detective Tracy Atwood, who is going through her own travails: a messy divorce, and an extremely violent criminal she helped convict now on the run potentially targeting her. Mr. Brooks must also deal with a daughter who has mysteriously dropped out of college, and a wanabe murderer who is blackmailing him to join him sidekick-style. These subplots in more expert hands might have added up to a HEAT-esque landscape of crime, but here need fleshing out. 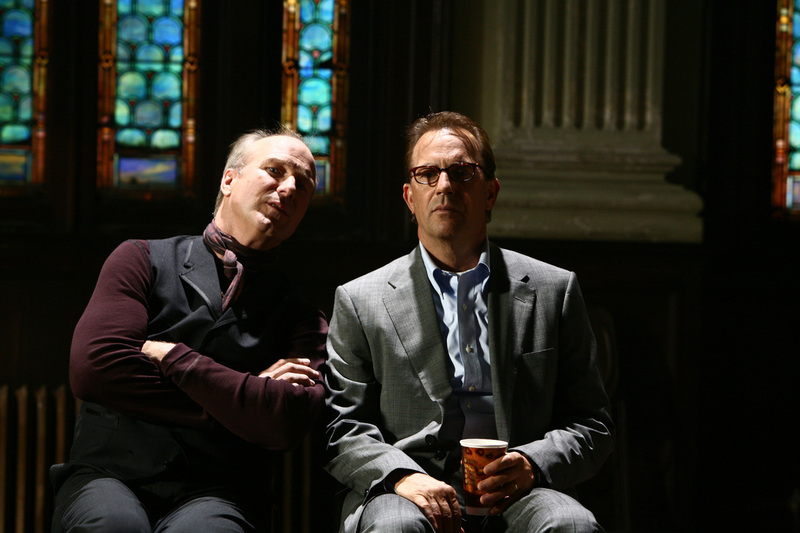 The Costner-Hurt dynamic is gripping in its quiet charisma, banter and performances. They are so watchable that another film about them would be welcome. The heart of darkness of the film should have had a harshness to match the subject matter. In the hands of David Fincher, Michael Mann or David Cronenberg this could have been one of the best thrillers of the year.